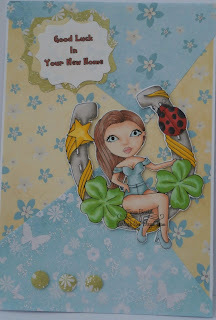 I chose this lovely image (Karleigh Sue's Lady Luck) to make a good luck in your new House card for my neice. I printed my own sentiment and cut it out with a die, layering on coordinating backing papers from my stash. I also punch 3 circles and emboss with a large ball tool to look like candi. My niece is all moved in now and hopefully finished decorating.. Please pop over to Karleigh Sue for the latest challenge and share your makes. Cute design and image! Thanks for sharing and joining us at Inspiration Destination. Hope to see you again and good luck! I am so glad you joined us for the Simon Says Stamp Wednesday Challenge! 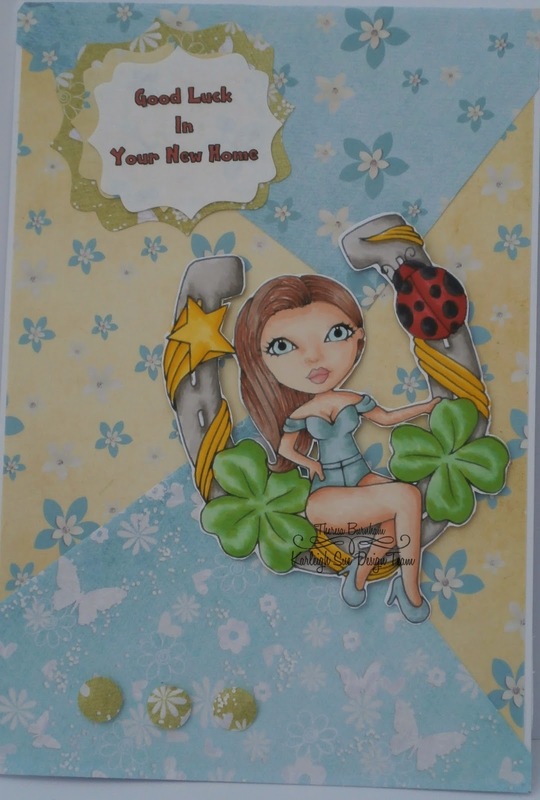 The background colors are so soft and pretty and really make the ladybug and the rest of the stamp pop.